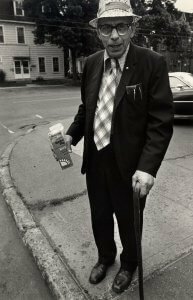 This exhibition revisits an important 1978 exhibition, Document of our Times, and the work of photographers, Lawrence McLagan, Lionel Stevenson and Jake Werner, hired to document contemporary life on Prince Edward Island. 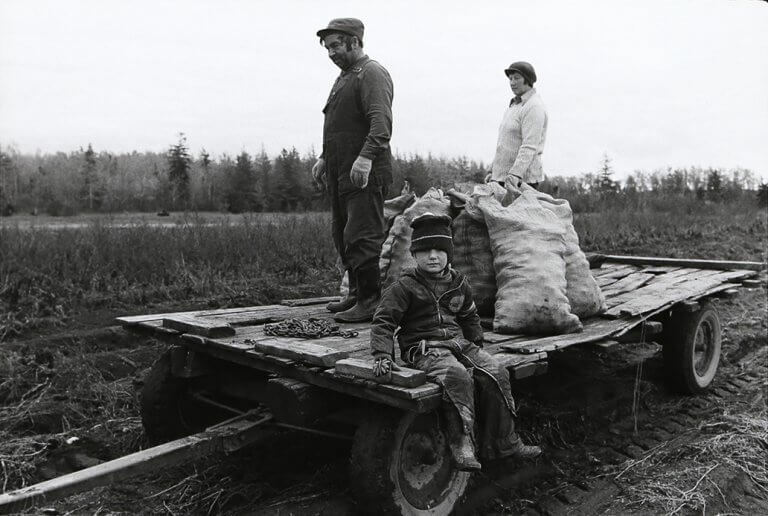 A selection of these images, along with the work of other documentary photographers active in PEI in the 1970s, such as George Zimbel, Richard Furlong, and Wayne Barrett, will revisit a moment when preserving evidence of the culture and landscape of the Island seemed particularly urgent in light of their rapid transformation. In the 1970s, as Prince Edward Island was undergoing rapid economic and cultural changes, many Islanders developed a strong interest in P.E.I.’s heritage. Some voiced worries about the potential loss of their “Island way of life.” Concerned that tourism, advertising, rapid development, and the industrialization of agriculture were causing irreversible effects on the peaceful pastoral landscape, groups and institutions such as the PEI Museum and Heritage Foundation, and the Brothers and Sisters of Cornelius Howatt were formed in response to a perceived need: to preserve material culture from the receding past (and present); to conserve the historic architecture and heritage of the province; and to advocate (sometimes politically) for the preservation of what was seen to be a unique island culture. At the time, P.E.I. was also home to a flourishing community of photographers, many of whom were recording the Island’s people and landscape. This exhibition revisits a 1978 show at the Confederation Centre Art Gallery, Document of Our Times – Prince Edward Island, 1977, which displayed a selection of photographic work commissioned as part of a Canada Works project sponsored by the PEI Museum and Heritage Foundation. 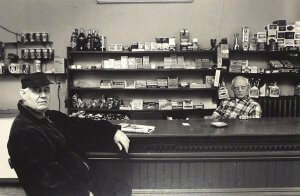 The photographers’ brief had been to document “life on Prince Edward Island” from May 15 to December 31, 1977. 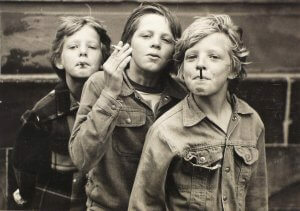 Over 250 rolls of film were shot by Lawrence McLagan, Lionel Stevenson and Jake Werner. Presented here alongside examples from the commission, is a selection of documentary images by other prominent photographers active in P.E.I. at that time, including Wayne Barrett, Richard Furlong, and George Zimbel. Together, these photographers succeeded in documenting people, places and moments, presenting a cross-section of Island life. But by placing the task of recording in the hands of artists, the project preserved something more than P.E.I.’s passing “heritage”; the images zero in on the unevenness of change, on the persistence and solidity of things, but also their ephemerality and their poetic qualities. The 1970s were indeed a pivotal moment when many directions could have been taken, and the contingency—the uncertainty and the possibilities—within the “Island way of life” are uniquely captured by these photographs. The Confederation Centre Art Gallery is grateful to the following individuals and organizations for their assistance with the production of this exhibition: Jannah Toms and John Boylan at the Public Archives and Records Office of Prince Edward Island; Keltie MacPhail and Simon Lloyd at the Robertson Library, University of Prince Edward Island; Catherine Hennessey, Edward MacDonald, and Terry Dunton Stevenson.